Potential penalties for drunk driving convictions are incarceration in a state correctional facility, substantial fines and license suspension. At the law firm of Fiore & Barber, LLC, our attorneys have extensive experience in minimizing the penalties associated with DUI. Whether through negotiating a reduction in charges or beating the case on its merits in court, we have earned a reputation for producing real results for clients who cannot afford to face the full penalties of a DUI. Contact us today for a free consultation. In Pennsylvania, the punishment system for drunk driving is tiered and dependent upon your blood alcohol content (BAC). Additionally, the penalty for a DUI conviction increases with each tier and for each DUI within 10 years. Your age, the presence of other drugs in your system and other factors can also affect the penalty. Incarceration. A potential penalty for a drunk driving conviction is incarceration in a state correctional facility. Sentences range from a minimum sentences of 3 days to a maximum of 5 years. A chart setting forth the minimum and maximum sentences for DUIs is available here. License Suspension. The license suspension is separate from the DUI charges and is an administrative action taken by PennDOT. It is very important to work closely with your attorney to make sure that everyone, including PennDOT, is on the same page regarding when the license suspension begins so that you may have your driving privileges restored as soon as possible and avoid penalties for driving with a suspended license. A chart setting forth the prescribed license suspension periods is available here. Accelerated Rehabilitative Disposition. People charged with a first-offense DUI may be eligible for the Accelerated Rehabilitative Disposition Program (ARD). Admission into the Accelerated Rehabilitative Disposition Program results in no jail time, greatly reduced license suspension and, if the person has successfully completed the program, dismissal and potential expungement of the underlying criminal charges. Work Release and House Arrest. If you are not eligible for ARD, some counties offer other alternatives including Work Release and House Arrest. House Arrest (with or without electronic monitoring) allows a person who is sentenced to a jail term to spend the time at his or her home as an alternative to being physically confined to jail. In the case of electronic monitoring, the confinement is monitored using an electronic sensor strapped to an individual’s ankle, and the individual is normally permitted to attend work, school, church and treatment. Intermediate Punishment Program. People charged with a second or third DUI may be eligible for an Intermediate Punishment Program (IPP). 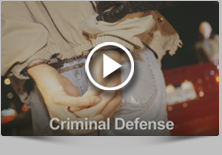 Typically, an IP program includes either no prison term or a greatly reduced prison term, electronic monitoring, intensive supervision, treatment and, in most cases, community service. We know the system. We know the courts. We can advise you as to all your options and help you weigh your alternatives for minimizing DUI penalties. The lawyers at Fiore & Barber, LLC remain straightforward and honest with you, giving you practical advice and diligent defense to help you throughout the process. Call us today at 215-256-0205 or contact us online to arrange a free consultation. Our hours are flexible to meet your needs.